Ever wonder about life in the Ice Age? 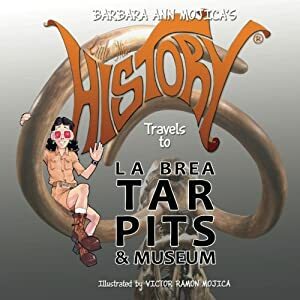 Little Miss HISTORY travels back in time to LA BREA TAR PITS & MUSEUM in her eighth adventure of the award-winning "Little Miss HISTORY Travels to" children's book series. Springs of liquid petroleum and a great lake of pitch, filled with exploding bubbles, once dotted the landscape of modern Los Angeles. At La Brea scientists discovered fossils of plants and animals like mammoths, sloths, and saber-tooth tigers that lived there thousands of years ago. The George C. Page Museum contains a glass-enclosed laboratory nicknamed the "Fish Bowl" where visitors can see scientists at work cleaning and categorizing current fossil discoveries. Visitors will discover wonders as they meander through the Pleistocene gardens, view an Ice Age film, and gaze down into the pits - but Be careful! Watch out for those tar seeps. 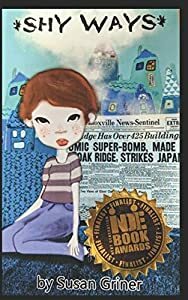 Sarah Templeton dreams of escaping a Tennessee town where the kids call her “slanty eyes” or ignore her because she is the only Japanese-American anyone has ever seen. She never defends herself because she cries too easily like her Japanese mother. She wishes she were more like her father whose temper she mistakes for strength. Sarah’s dad keeps secrets about his new job but Sarah hears rumors about accidents at the plant and sick employees. When a strange cloud of gas floats out of the plant and drifts toward town, everyone panics. Sarah forgets her own troubles when her mom who falls into a deep depression after the crisis is over. Sarah understand her mother’s fear of the accident at the plant when she learns about the bomb that destroyed her mother’s in home in Nagasaki. Sarah’s mom recovers enough for a visit to Sarah’s school, but the sound of the fire alarm reminds her mom of the air raid sirens she heard during the World War II. When her mother refuses to leave the school, Sarah has to find a way to wake her mother from the past. As Sarah realizes her mother’s inner strength, she begins to embrace her heritage. 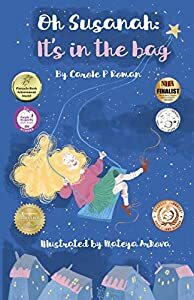 From award-winning author Carole P. Roman comes a new chapter book featuring Susannah Logan, a young student having a very bad day. It all begins with homework trouble and an invitation to a sleepover that she doesn't want to go to. Would you want to go to a sleepover in a creepy house? Rather than dealing with her problems, Susannah stuffs them into her backpack. But how much can a backpack take? Will she be able to confront her worries before the backpack bursts? Or will she just continue to hide them away? Join Susannah and her friends in this story sure to charm busy young readers everywhere. New York City is a realm of magic and enchantment, even if most adults can't see it. Twelve-year-old Peter Constantine has never been there, not until the morning he wakes up on the second floor of the Crown, the city's oldest and most luxurious hotel. His family has moved without warning, starting a new life in apartment 201. Peter's sorrow and anger quickly fade the first time he leaves his room, entering the wondrous world of the wealthy, the quirky, and the mysterious. Soon, however, danger creeps into the Crown, seeking to steal treasure and destroy Peter's new home. Little does he know, mystical forces have chosen Peter to take center stage in the most courageous story ever told! 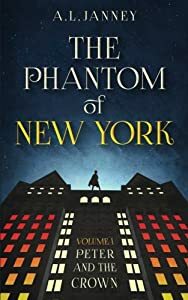 It's Harry Potter meets Zorro in the award-winning first book of the Phantom of New York series, for readers aged ten and up. Grab a copy of book one today! 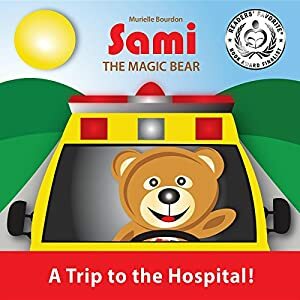 SAMI, the magical teddy bear comes to the aid of children who feel alone and who are facing troubling events that occur in the course of their lives. Today, SAMI intervenes in the life of Laurie facing illness and offers his support and helps her to get through these difficult times. 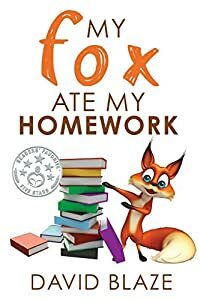 My Fox Ate My Homework is a funny fantasy for kids, teachers, and parents. 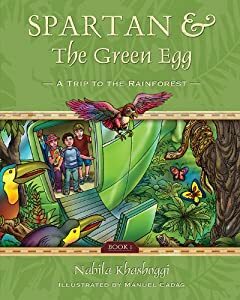 It's an enjoyable story for children in elementary and middle school, and grabs the attention of reluctant readers. The forgotten forest of Oldenglen, tucked in the foothills of southern Oregon, is forgotten no longer. A rogue wolf pack and its ruthless leader have claimed it as their territory, threatening forever the balance of life in the magical glen. In this third book in The Oldenglen Chronicles middle-grade fantasy series, schoolboy Jax feels the lure of the pack. The wild wolf within him—born of a nip his father received as a boy, then passed through his genes to Jax—strains to run with the invaders. 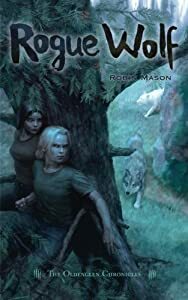 But loyal to the glen, he and best friend Sarah plead with the woodfolk to fight back and summon the Far Glen wolf pack—whose bloodline owes the glen a debt from long ago—to oust the raiders. Wolf is pitted against wolf when the Far Glen pack answers the woodfolk’s plea for help. But a far deadlier peril awaits. The rogue pack’s hunting of livestock on farms around the glen has drawn the eye of state and federal wildlife agents. When they surround the glen to cull the rogue wolves, both packs are trapped within its tall stone cliffs. With the lethal cordon drawing tight, Jax and Sarah desperately maneuver to save the wolves they love and keep hidden the secrets of the glen. 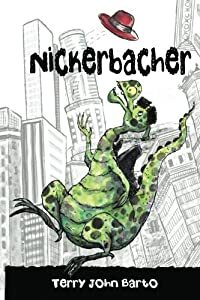 Nickerbacher is a dragon and aspiring comedian who travels to La La Land to audition for The Late Knight Show. He hopes to prove to his father -- and the world -- that dragons can be funny. Nickerbacher befriends a prince and a princess who help him realize his dream while paving the way for equal rights of all citizens. Nickerbacher is an Amazon #1 Bestseller, the recipient of the Feathered Quill Book Award - Gold, Wishing Shelf Book Award - Gold, Literary Titan Book Award - Silver, Hungry Monster Book Award - Silver, Bookvana Awards - Winner, Literary Classics International Book Awards - Gold, Readers' Favorite Book Awards - Gold, Book Excellence Award - Finalist, Royal Dragonfly Book Awards - 1st Place, Reader Views Literary Award - Classics, Beverly Hills Book Awards winner.